I went to the Olympic Peninsula for a few days to capture a few scenes. These spur of the moment decisions sometimes don’t turn out well. I had failed to consider that Labor Day is still 2 weeks away and vacation season is still in full swing. It was nearly impossible to get into the National and State parks. I couldn’t even find a place to stand in the Hoh Rain Forest or Ruby Beach. 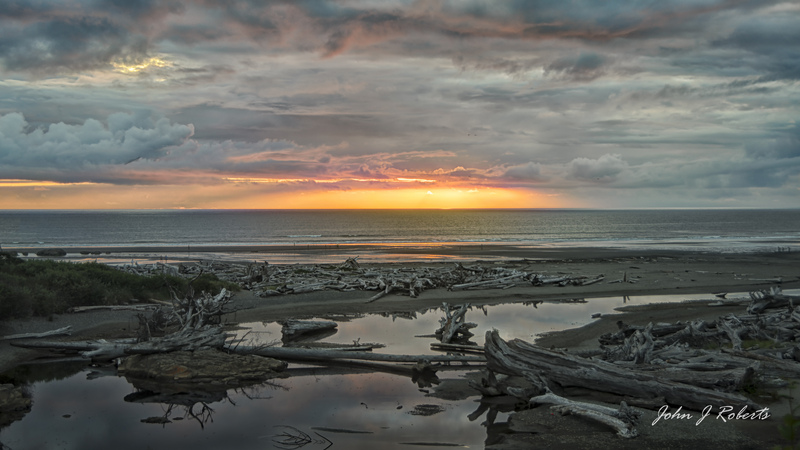 As sunset was rapidly approaching I drove on down to the resort at Kalaloch thinking I could at least get dinner there. The sunset wasn’t spectacular but it was good enough to make the trip worthwhile. Thanks, Ed. Really appreciate it.